If Test cricket is a gentleman’s game, Alastair Cook symbolizes that gentleman. An ideal student, an ideal batsman, an ideal face representing English cricket. Alastair Cook has scored more runs than any other English player, played more matches than any other English player, led the team more times than any other English player. In an otherwise pristine career clear of controversies, if there’s one thing some people might hold against him, if there’s one thing Alastair Cook would like to change, if there’s one thing that he truly regrets - it is him sacking someone who could’ve been England cricket’s second highest run-scorer – Kevin Pietersen. Kevin Pietersen was an antithesis of Alastair Cook. If Cook performed like an obedient student, Pietersen acted like a rebellious teenager. If Cook was a traditionalist, Pietersen was reformist. If Cook was a steady builder, Pietersen was a valiant destroyer. Pietersen was naturally aggressive, outspoken and opinionated. He was not like a soldier who would put his head down and blindly follow his leaders' orders. Rather, he was someone who took an active interest in planning, strategising and devising the team’s approach. This, many believe, was a major reason why he never quite got along with Cook. Not many know the fact that it was on Cook’s insistence that Kevin Pietersen was a part of England’s monumental tour of India in 2012, a tour when England achieved the rare feat of defeating India in India - being the only team in the last 14 years to do so. It was a series win which was pivoted by Kevin Pietersen’s performances. 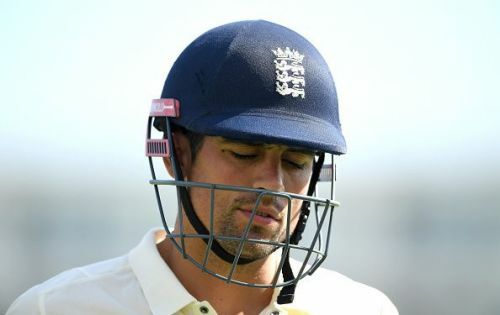 Soon after that tour, England was humiliatingly whitewashed in an Ashes series in Australia, the scapegoat for which was, wait for it - England’s top run scorer of the series: Kevin Pietersen. Kevin Pietersen, as announced by the ECB then, was sacked for not giving ‘full support’ to Cook. Cook thought that he had had enough of contradictory views, and wanted to build a team full of yes-men who would blindly follow his orders. Pietersen, however, did not bow down to the authoritative ECB and did not regret having an opinion of his own. He openly criticized Cook & Strauss for his axing from the English team. Cook’s sacking of Pietersen at his prime easily cut down at least three years of his illustrious career. Soon after his sacking, England lost to Sri Lanka at home – the point that Cook describes “the lowest in his cricketing career” but soon found resurgence by defeating India and Australia. At the end of his monumental career, Alastair Cook should be an extremely proud man. He did everything he could, to raise the level of English cricket. But the question still remains, if only he could have handled the prodigy named ‘Pietersen’ better?